Come ride with us in the aid of Men’s mental wellness as suicide prevention. First 50 riders will receive a commemorative patch. There will be a complimentary breakfast with juice and coffee. 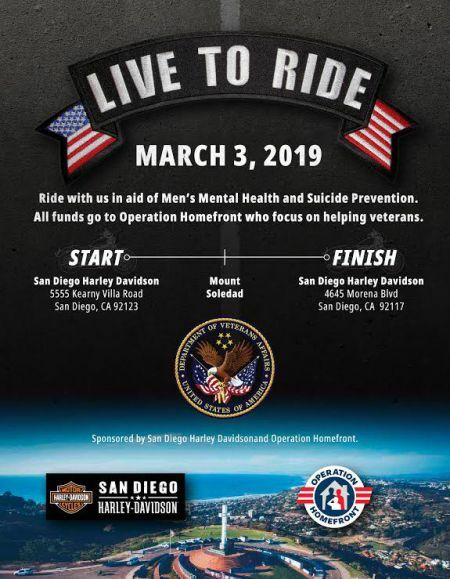 The ride will be going up to Mount Soledad for a ceremony including the National Color Guard. Lunch, music, raffles and more upon the conclusion of the ride. Come see LIVE MUSIC from Alto Ego!